The Beauty of Life: Sponsored Post: Philosophy Milestones is Almost Over! 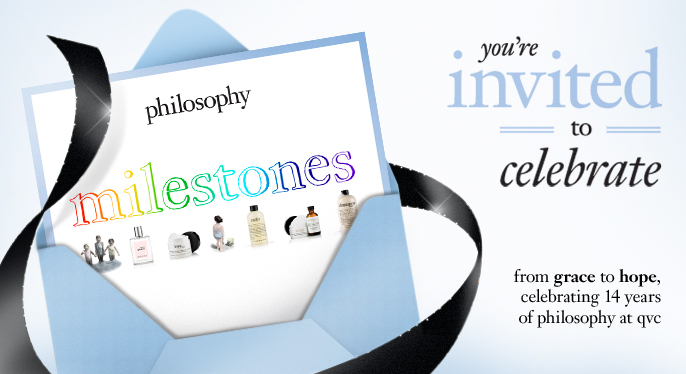 Sponsored Post: Philosophy Milestones is Almost Over! A few days ago, I told you about Philosophy Milestones on QVC. This four day event is all about celebrating not only Philosophy's milestones throughout their 14-year history on QVC, but the milestones in your own life, both Philosophy related and not. And tonight at 7pm EST is the last show! Throughout these shows, Philosophy and QVC have been offering some of Philosophy’s bestsellers and most loved products in special sizes and at special prices. You can find everything from Purity Made Simple and Hope In A Jar to a trio of Amazing Grace Whipped Body Cremes and a divine Tropical Getaways Shower Gel Trio. You can watch the shows on TV, of course, but you can also stream them right from your laptop or tablet from qvc.com. Pretty cool, right? And, of course, you can purchase so many fabulous Philosophy products on qvc.com as well. Here are a few of my favorite sets that you'll find this weekend. And best of all, it's only $299 throughout the event! Not only do you get the Amazing Grace Whipped Body Creme ... you also get Pure Grace and Living Grace. 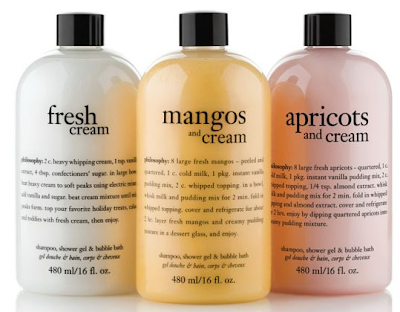 All three smell divine and make skin feel so velvety soft. The trio is only $60 for the event! Apricots and Cream. Fresh Cream. Mangos and Cream. Don't those all sound delectable? (The answer is yes.) I'm a huge fan of Philosophy's 3-in-1s, so a set of three is right up my alley. And the fact that it's only $34.71 for all three? That's the best news I've heard all day!